If you’re a social media user, you’ve probably seen viral images and videos of the Giant Butterfly Squid. Thanks to Above Sea Level, this gift to the #foodgasm and #foodphotography feeds has been bestowed upon us. The question is – is it one of those dishes that are more for the sense of sight than the sense of taste? Or is it a gift to our palates as well? Now that there’s an Above Sea Level Lipa branch, we’re about to find out. The owners of Above Sea Level Lipa personally know the franchisor. 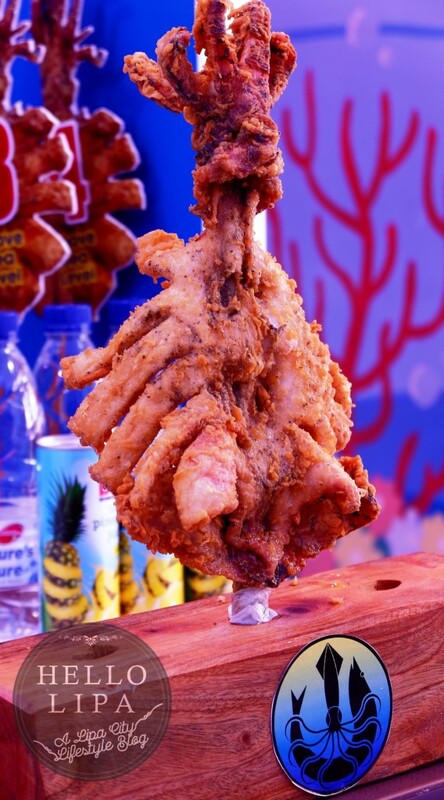 Being seafood lovers, they tried Above Sea Level’s main offering – the Giant Butterfly Squid. They fell in love with it and felt that it’s something that will be appreciated by Lipeños. They’re not wrong. Looking at the reception that it’s been getting and our personal experience as well, Lipeños share the same love for it as the rest of Luzon. This patented offering of Above Sea Level will make your senses tingle. It’s obviously a feast for the eyes. When you see it, you won’t be able to help yourself from pulling your phone out so you can take pictures of it. It’s a giant piece of squid that’s cut in such a way that it resembles a butterfly once perched to stand on a stick. 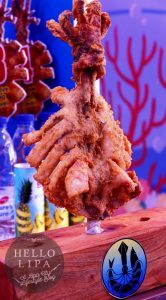 Covered in breading and deep-fried to golden brown perfection, you’d get something that will make you crave for it while you’re still eating it. I’m not kidding. We were planning our next visit while we’re crunching on it. In addition to being crunchy, it’s also surprisingly tender. Don’t think that they gave you the wrong knife when they hand you a bread knife. It’s more than enough to cut, no, glide through it. 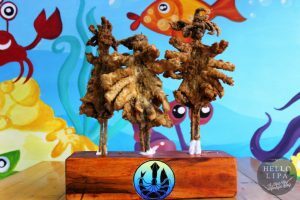 The Giant Butterfly Squid has 4 available sizes – Giant (PHP 180 with 1 cup of Java rice), Super (PHP 250 with 2 cups of Java rice), King (PHP 350 with 3 cups of Java rice) and Groot (PHP 450 with 4 cups of Java rice). 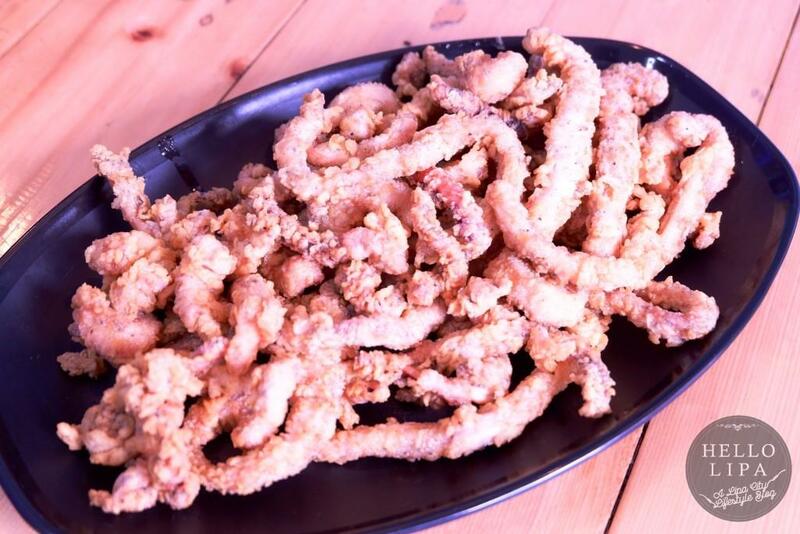 You can also get them Squidfest style (PHP 490 with 3 cups of Java rice). The Giant Butterfly Squid will certainly turn you into a “Squider”. That’s usually our thinking when we get asked to eat at a seafood restaurant because seafood is generally more expensive than other meats. 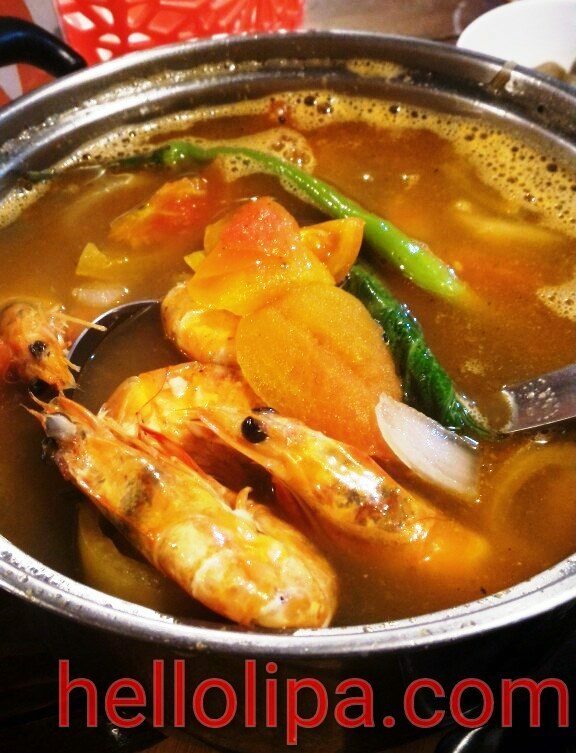 Above Sea Level Lipa is proof that you don’t have to spend a lot of money to enjoy seafood dishes. 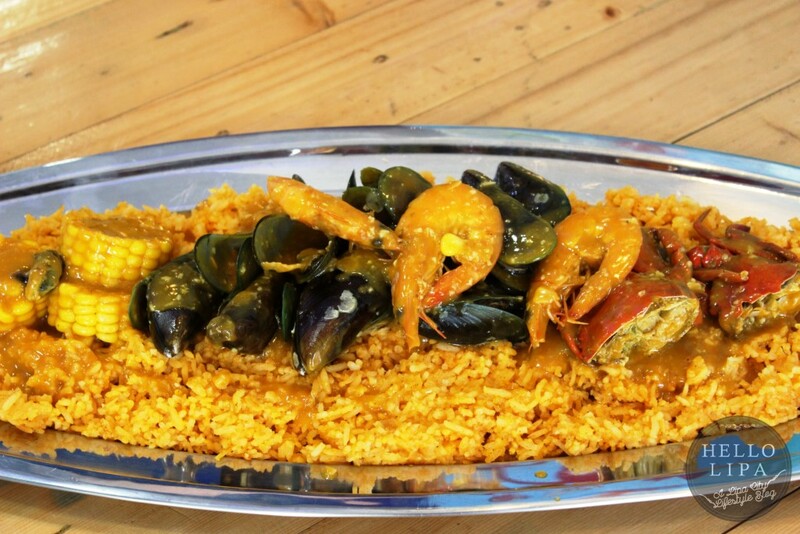 You can start with their Seafood Festival (PHP 380). This is their version of the seafood paella. 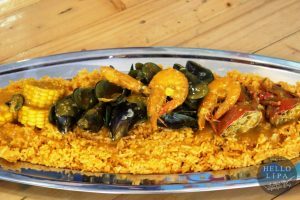 It has crabs, mussels, shrimp, corn and crab fat (!) sauce smothered all over the Java rice. 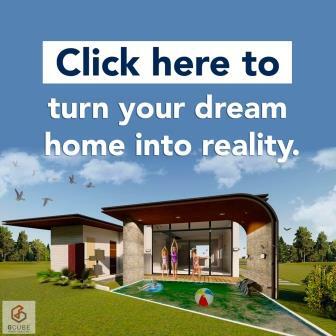 When you see it, you’d know why they encourage you to use your hands. This is something that you’d want to enjoy boodle-fight style. Also for sharing, you should also try the Squid Fries (PHP 250). It’s basically the Giant Butterfly Squid cut into fries-like pieces for easier consumption. 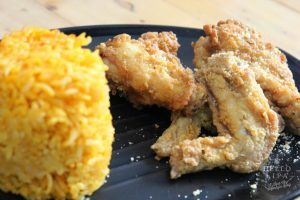 It tastes as good and is equally tender and crunchy. In addition to being shaped like fries, it’s called as such because you’d be popping these in your mouth one after the other. 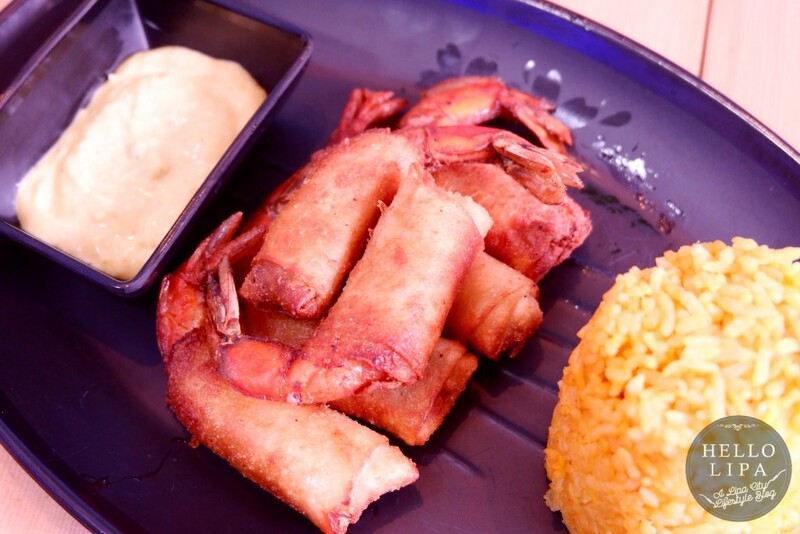 They also have Firecracker Shrimp (PHP 180). This is one of my favorites. It’s shrimped wrapped in lumpia wrapper and flavored with a little bit of kick. It goes so well with the Java rice it comes with. You should also try the Bacon Wrapped Shrimp (PHP 240). 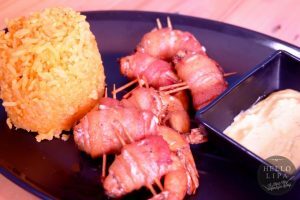 It’s shrimp wrapped in bacon. Do I need to say more? 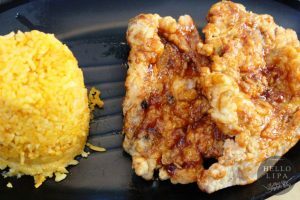 Above Sea Level Lipa is a full-service restaurant and as such, they’re able to serve non-seafood dishes as well. 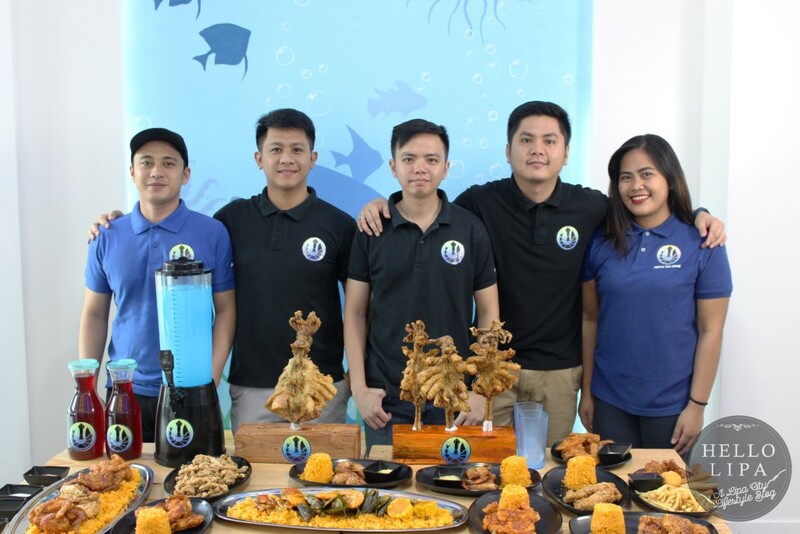 So if you have someone in your family or group who’s allergic to seafood or you simply want to order non-seafood dishes to complement your seafood order, go to Above Sea Level Lipa! You can get the 6-piece Chicken Wings Platter in 4 different flavors (Garlic Butter, Honey BBQ, Dynamite and Hot Buffalo). 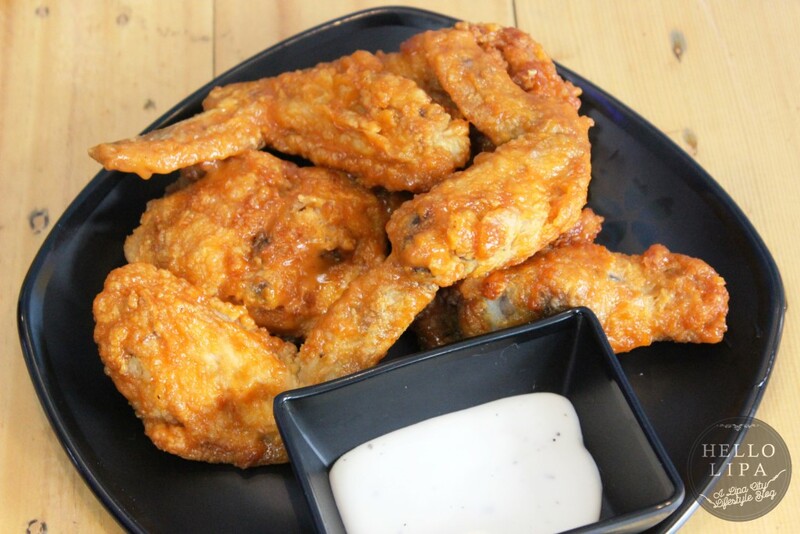 I like how the wings are big, crunchy and made sticky by their sauces. (PHP 129). You can also enjoy them with rice! Get the 2-piece chicken wings with Java rice for only PHP 69. Extra hungry? 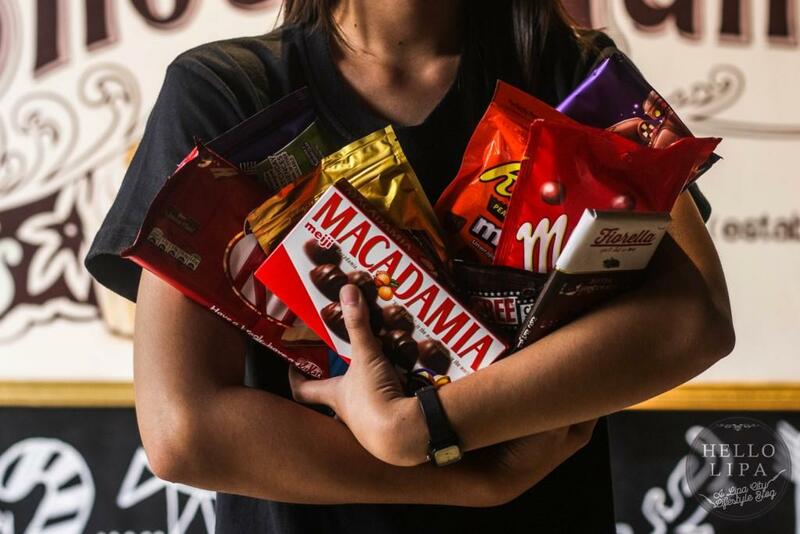 Get the 4-piece one for only PHP 109. They also serve pork chops! The 1-piece with Java rice is only PHP 69. The 2-piece one is only PHP 109. I love how tender they are. 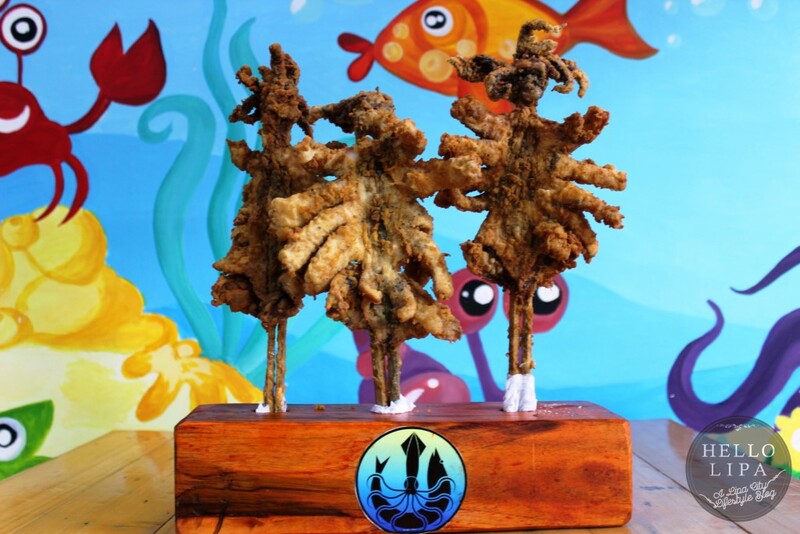 Visit Above Sea Level Lipa and populate your social media feeds with pictures of their trending Giant Butterfly Squid! Just make sure not to take too long taking pictures, because the dishes of Above Sea Level are not only for your eyes, but for your stomach as well! 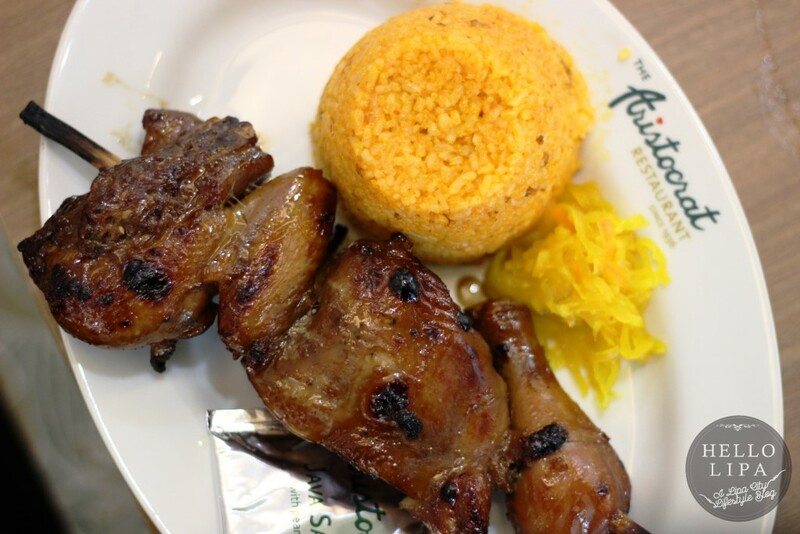 PreviousThe Aristocrat Restaurant Lipa, Batangas: Now Open! NextEggcited Waffles Lipa: Eggsolutely Eggciting!